This is a presentation of Ibn Ezra's response to a commentator [perhaps Yitzchaki] who suggested switching more than one hundred words in Scriptures. Here, he considers and rejects a swap in parashat Yitro, based on a mismatch of הַגְבֵּל of the nation or the mountain. יב וְהִגְבַּלְתָּ אֶת-הָעָם סָבִיב לֵאמֹר, הִשָּׁמְרוּ לָכֶם עֲלוֹת בָּהָר וּנְגֹעַ בְּקָצֵהוּ: כָּל-הַנֹּגֵעַ בָּהָר, מוֹת יוּמָת. כג וַיֹּאמֶר מֹשֶׁה, אֶל-ה, לֹא-יוּכַל הָעָם, לַעֲלֹת אֶל-הַר סִינָי: כִּי-אַתָּה הַעֵדֹתָה בָּנוּ, לֵאמֹר, הַגְבֵּל אֶת-הָהָר, וְקִדַּשְׁתּוֹ. He said that it [the word in the latter verse] ought to be הָעָם. And he did not say anything, for if one were to הַגְבֵּל the nation, then the גבול [boundary] would be around the mountain, and if one said to place [?] a boundary around the mountain, then there would be not difference between them." End quote of Ibn Ezra. In other words, since since the later verse is a rephrasing of God's command, and perhaps because הַגְבֵּל should be taken cause to form a perimeter, both should be the 'the nation'. Ibn Ezra's response is that one need not harmonize to use the same noun in the command and the restatement of the command, because with either word choice, this is a valid way of describing the action. The Samaritans were also interested in such harmonizations, and they freely emended the text to make it smoother. In this instance, they similarly emended the text. Here is Vetus Testamentum, with the Masoretic text on the right and the Samaritan text on the left. A - means the Samaritan text is identical to the Hebrew, and a * means a corresponding letter or word is missing. Their solution was to modify only verse 12 so as to make both instances, ההר, rather than העם. This introduces a problem, because of the word לֵאמֹר in pasuk 12. If Moshe were to וְהִגְבַּלְתָּ the nation, then there could be a לֵאמֹר as he instructs the nation. But the text will not flow if Moshe were to וְהִגְבַּלְתָּ the mountain. Therefore, the Samaritan scribe added an extra phrase, ואל העם תאמר, "and you should say to the nation". והגבלת -שים גבול בהר. ע"כ כמוהו הגבל את ההר וקדשתו לשום גבול בהר. והארכתי כל כך בעבור שאמר המשוגע שהפך בספרו דברי אלוהים חיים, אמר: כי רצה משה לומ: הגבל את העם. ויצא מפיו ההר במקום העם. In Sefer Tzachot, Ibn Ezra writes at length against a grammarian [מדקדק] who proposed more than one hundred words which should be replaced in Scriptures. Ibn Ezra writes that the book is fit to be burned. (Elsewhere, in his commentary to Shemot 19:12, he labels this fellow a meshuga.) I've seen it asserted, but alas, as I write now can't find the source [update: see here] , that this grammarian is the same as Yitzchaki (whom people identify as Isaac Ibn Castar Ben Yashush of Toledo), who claimed fairly late authorship of a lengthy passage in sefer Bereishit, about whose book Ezra said that it deserved to be burned. "Forfend, forfend, for this is not correct, not in non-sacred words and certainly not in the words of the Living God. And his book is fit to be burnt." Further, this grammarian describes difficulties in the text which can only be resolved by emending the text. Ibn Ezra argues that with a bit of deeper thought and analysis, many of these difficulties are readily resolved, such that the radical course of emending the Biblical text is unwarranted. "Beware and guard your soul exceedingly, that you do not believe the words of the grammarian who mentioned in his book more than one hundred words and said that all of them need replacing. Forfend, forfend, for this is not correct, not in non-sacred words and certainly not in the words of the Living God. And his book is fit to be burnt. and its explanation is as follows: 'how shall I [אֶמְאַס] cast away one who is of the seed of Yaakov, after it is stated in the Torah that there shall be no ruling king in Israel except Yaakov? And further, that he is of the family of David.' And so, there are two positives. גאלת, עמך -הוא הפעול כאילו כתוב: גאלת עמך בזרוע נטויה.וטעם להזכיר יוסף עם יעקב כי הוא החיה ישראל, ככתוב משם רועה אבן ישראל. והטעם: כי בזכות יעקב ויוסף פדית בניהם וכמוהו גם זרע יעקב ודוד עבדי אמאס, שהטעם מי שהוא מבני נדיבים והעד שאמר מקחת מזרעו מושלים והאומר כי יעקב תחת אהרן, לא דבר נכונה. I have heard reports of a troubling minhag this coming Shabbos [edit: the Shabbos immediately following Pesach], one with seeming pagan origins -- a minhag which has become widespread in recent years -- to bake or eat challah. The braided bread loaves of Germanic tradition were invented by the women of Teutonic tribes, who used to make offerings of their own hair to their Goddess. Eventually they learned to preserve their braids by substituting the imitative loaf, which was called Berchisbrod or Perchisbrod, bread offered to the Goddess Berchta, or Perchta. 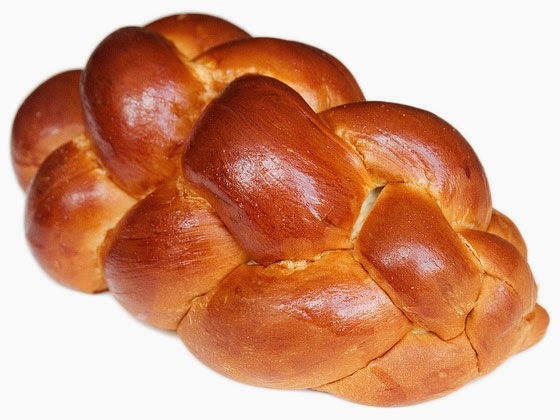 The name of the braided Sabbath loaf among German Jews, Berches or Barches, was copied from this tradition. If so, we must protest this perversion of Judaism and introduction of pagan rites into our Shabbos festivities. What I wrote above wasn't made up. And it seems at the very least plausible that braided loaves for the pagan Germanic goddess Holle is the basis of both the name and form of the bread. In the minds of the hamon am who practice this, there certainly are no such idolatrous intentions. Instead, they regard it as a holy segulah, and maybe associate all sorts of Torah-based justifications for the practice. So I would not condemn it as the worst thing in the universe. What I find more problematic is what the widespread acceptance of this minhag means. A) Initially, people's practice was more or less mimetic. B) Then, people turned to texts and away from their mimetic traditions. C) Then, with the advent of the Internet, each group's personal mimetic traditions become text (or become memes?) and become the expectation for the global Jewish community. When you combine this chain-mail type of spread with the minhag's questionable background and somewhat negative messaging (of segulah-ism), there is what to oppose. Anyway, it feels good to "oppose" something. It gives people something to do and something to talk about, heatedly. It is a fun way of channeling one's religious beliefs into a public statement. Just realize that not just shlissel challah, but regular challah is well, can be subject to many of the same attacks. 1) I don't know if I would call this "prophecy". This is a midrash, and so is presumably an interpretation by the midrashic author (Rabbi Yizchak) of pesukim, perhaps from Sefer Yeshaya. The prophet was Yeshaya, and the rabbis took it upon themselves to carefully analyze the words to come to some concrete meaning. And that is how different rabbis might argue with one another about the meaning, without calling one another false prophets. The rabbis of the Talmud themselves said that prophecy was removed, and that the last prophets were Chagai, Zecharia, and Malachi. 2) It is not "2000 years old". Yalkut Shimoni is a Yalkut, a collection. While many of the sources are old (though they may be processed versions of the older material), some of the material is more recent. Yalkut Shimoni was composed either in the 11th century or (more likely) the 13th century. Even though this is attributed to a "Rabbi Yitzchak", I would not jump to say that this is older material, nor 2000 year old material, from the time of the earliest Tannaim. The identifications of the melech aravi with Saudi Arabia and melech Paras with Iran, and ארם (censored for אדום or רומי) for the US represents the guesswork of the author. is a presumption of the author. I think those countries conquered in the Muslim Conquests would beg to differ. I think those countries conquered in the Mongol invasions would beg to differ. 4) We are dealing with a 13th century midrash. And the midrash makes reference to empires, rather than countries. From Talmudic times, these were understood as empires rather than countries. Paras is the Persian empire. Edom is the Roman empire. Aravi is the Arabian empire. These each, in their time, conquered and ruled over wide swaths of the settled world. While Paras is modern-day Iran, and that country is a potential threat, it is a nothing compared with the Persian empire. If this is early 13th century, this might refer to the Ilkhanate. The Ilkhanate, also spelled Il-khanate (Persian: ایلخانان‎, Ilkhanan; Mongolian: Хүлэгийн улс, Hulagu-yn Ulus), was a breakaway state of the Mongol Empire, which was ruled by the Mongol House of Hulagu. It was established in the 13th century and was based primarily in Iran as well as neighboring territories, such as present-day Azerbaijan, and the central and eastern parts of present-day Turkey. The Ilkhanate was based, originally, on Genghis Khan's campaigns in the Khwarazmian Empire in 1219–1224 and was founded by Genghis's grandson, Hulagu Khan. In its fullest extent, the state expanded into territories which today comprise most of Iran, Iraq,Turkmenistan, Armenia, Azerbaijan, Georgia, Turkey, western Afghanistanand southwestern Pakistan. Later Ilkhanate rulers, beginning with Ghazan in 1295, would convert to Islam. This strikes me as a plausible interpretation of the midrash (rather than "prophecy"), of applying pesukim to contemporary events and predicting the resurgence of a mighty empire rooted in Persia. But it depends on the actual composition date of this midrash. Find the date of composition, and find the people engaged in empire-building and conquest in its proximity, and then see if it fits. 4) If Iran got nuclear weapons, and used them, they would be wiped out instantly. There are other countries (such as the US) who would automatically retaliate. If there were worldwide nuclear war, then even in Israel it would not be a good place to live. None of this corresponds nicely to the events described in the midrash. My explanation (IMHO) besides being rooted historically works better with the scenario described in the midrash. This year, I printed out a Haggadah from JNUL from 1527 to use for the seder. [הגדה של פסח : עם ציורים]. (פראג : גרשם בן שלמה הכהן, כו טבת רפ"ז). Here are a few interesting things I found in it. By Chacham mah hu omer, the pasuk ends אתכם, just as in our Masoretic text. Meanwhile, the Mechilta on this derasha has אותנו, as does the Septuagint and (I think) the Dead Sea Scrolls. Look at how long the ת is. Look at the roof of the ת and how it used to be split. Look in the middle of the ת and see the rubbed out initial leg. They took ות and changed it into a ת. Look also at the rubbed out kamatz. And look at the end of the word, how squeezed the כם. They have overwritten נו with כם! And here is the unedited version, from another Haggadah printing (I think from later) without the correction. For this section, it is a match, even unto the placement of the letters, except for this correction. This is the sort of thing that would be unlikely to be included in many modern Haggadot. Look at that wild growing hair. This is presumably as a demonstration of ושעריך נכונו. However, considering the context of שדים נכונו, it seems likely that simple peshat in the pasuk is that it is referring to pubic hair. They mention a custom of pointing to one's wife (or a woman) when reaching maror zeh, as a pasuk states isha raa mar mimaves. See this post at the Seforim blog for a greater discussion of this "custom". in the middle. I checked though and R' Shmuly wasn't behind this. But in the following, sum-up paragraph, it is what we expect, namely Beis Habechira. Bumped to top. This was originally published in 2012. I haven't had the time to update it since as I wanted, but it is still good stuff. I present here the first edition of my running commentary on the Haggadah shel Pesach. It can certainly use extensive editing. I composed it over the course of about three years as a series of blogposts. But as a result, I may be repetitious or inconsistent. And there may be many typographical and formatting errors. Likewise, I cannot guarantee that the ideas presented in here are correct, but at the least, I hope that they are thought-provoking. My focus here is on issues of girsa and its implications; close reading of pesukim and the Haggadah text to try to better understand the details of the derasha; the composition of the Haggadah; and differing approaches of Chazal to the obligations on the seder night. חֲסַל סִדּוּר פֶּסַח כְּהִלְכָתוֹ, כְּכָל מִשְׁפָּטוֹ וְחֻקָתוֹ. כַּאֲשֶׁר זָכִינוּ לְסַדֵּר אוֹתוֹ כֵּן נִזְכֶּה לַעֲשׂוֹתוֹ. Once again, The Absolut Haggadah is out. It is downloadable from this website. It has been thoroughly updated for 2015, with both changes to the text and some professional typesetting. I discussed an idea from it in 2007, reviewed it and its general approach in 2009. discussed an excerpt in 2010. But there have been many updates since I mentioned it last. Here is an excerpt from this year's edition, to give you a sense of its flavor and style. "Blessed is He who keeps His promise to Israel, blessed be He! 210 years.6 Based on the promise God made to Abraham, the Jewish people should have been in Egypt for 400 years. What happened to the missing years? Many commentators feel that since Abraham, Isaac and Jacob were considered aliens while they lived in Canaan, the calculation of the 400 years begins right after the ,ברית בין הבתרים (the covenant between the pieces), with the birth of Isaac. 65 The Comics Passover Haggadah: Shay Charka. This tradition continues, as is evident from the hotel towels that are ubiquitous in Israeli homes. 66 Kehas, one of the group that went down to Egypt, lived 133 years, his son Amram lived 137 and his son Moses was 80 at the time of the Exodus. Thus, we have 350 years, before reducing the sum for years when the lives of these three individuals overlapped. Clearly, according to the biblical genealogies, the Israelites were in Egypt for fewer than 400 years! 68 We are not bothered by the difference of 30 years between verses. Many times the Torah will round off a number to the nearest 100. 69 The Brody Family Haggadah. 70 Rav Amnon Bazak suggests a variation on this approach: If we add the years of Kehas, Amram and of Moses, we get 390 (and this number is easily rounded to 400). If we add the 40 years in the desert, we reach 430. The prophet Ezekiel is told to lie on one side for 390 days and the other for 40 (in expiation of Israel’s sins). The way the 40 days are described in Ezekiel (“a day for each year”), they are clearly a reference to the desert period, it would therefore follow that the 390 relates to the period in Egypt. Because the basic text of the Haggadah discusses the brit bein habesarim, and of the ketz of 400 years, and that Hashem was chishev et hakeitz, the authors of this Haggadah give a scholarly analysis of how the 400 years are reckoned, and how it accords with the actual 210 years. How was this havtacha fulfilled? The authors of this Haggadah chose to be brief in their presentation here, in order to keep the discussion moving and to for space considerations on the page. But they bring the issue to the reader's attention and choose one of the several resolutions which works well with their approach -- that the purpose is dramatizing the suffering. 1) Note that the Septuagint and Samaritan Pentateuch changes the text of one pasuk to explicitly split the 430 between Egypt and Canaan. And that this is an emendation in the interest of solving a problem, and so is not original. 2) Among the various resolutions to this issue, there is a nice one mentioned by Shadal, that these names (Kehat, Amram, etc.) are the names of families at the time of split-offs rather than individuals, such that it really is 210. 3) Once they have brought this up, we can contemplate how this is related to chishev et hakeitz. Recall that the basic Haggadah text is written by a midrashist, and he is citing midrashim. When he writes "chishev et hakeitz", what does that mean? Does it perhaps mean that Hashem used a quicker method of calculating the keitz, as some explanations have it? Such that it was a nice thing Hashem 400did to transform the 430 into a mere 210? Or is Shomer Havtachato mean that Hashem kept careful watch, that he was anticipating the time he would be able to redeem them. Just as we see in the gemara, אמר ר' יונתן תיפח עצמן של מחשבי קיצין, where it means people who are predicting (or by extension, watching) the end-time. Or is it just that He kept His word, and this entire discussion (of 400 vs 210) is tangential to what the Baal HaHaggadah meant? 4) We can tie this in in to Arami Oved Avi. Are we really saying about יָדֹע תֵּדַע כִּי גֵר יִהְיֶה זַרְעֲךָ בְּאֶרֶץ לֹא לָהֶם that at about half of those 400 years was when they were in Canaan? If so, we can understand how Avraham, Yizchak and Yaakov were truly wandering Arameans. I found this excellent Haggadah. It deals with many of the same issues that I spoke about in the shiur (which is in the previous post) and answers some of the outstanding questions, such as when the Haggadah was put into its present form (some time in the Gaonic period, though we have fragments from the Cairo Geniza which are pretty similar to todays Haggadah). They also have a nifty chart which shows the parallels and differences between Rav and Shmuel in the way that the Haggadah is set out (and how we do both). They have also given the verses which we will spend most of the Seder explaining, and discuss why the authors of the Haggadah chose those verses (from Devarim) instead of the story itself which is in Shemot. There is then a commentary on the Haggadah which will serve you well on the Seder night (if you so desire). I think it is an excellent piece of work, but don't just take my word for it. Have a look yourself. Fantastic Hagadah. Just the right mix of seriousness and comedy. Well done. Searching for a Haggadah to use for my own first Seder I came across this. I was very amused. a refreshing blend of humor and commentary trying to uncover the pshat (basic meaning) of the Haggadah. Great Haggadah…and you used my favorite Far Side!! Thanks! I downloaded it ... and started reading through it - it has some very interesting stuff on the structure of the haggadah. Kol HaKavod to the authors!